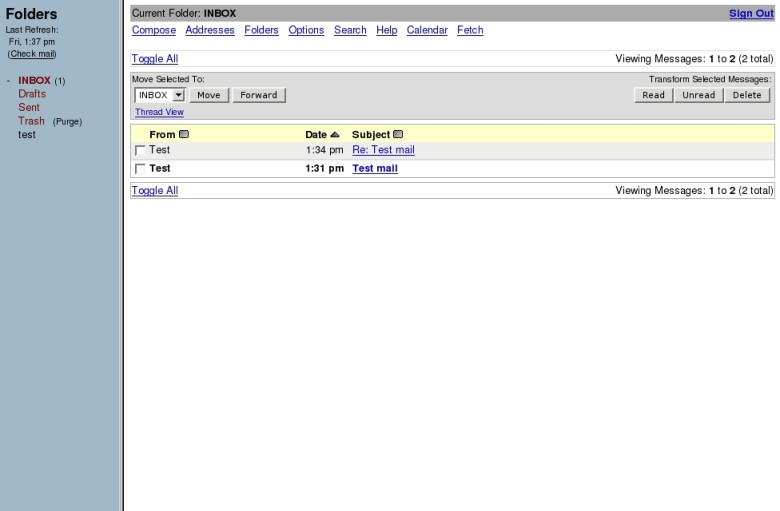 There are too many webmail clients are available on web. Choosing best out of them is quit difficult task for any one. Roundcube: I would rate it as the best and easy to install. It has rich text editor and clent side filtering support. Also it hase good web interface. SquirrelMail: Its basic webmail with basic web interface. There is no rich text editor support. There are lot of plugins available for SquirrelMail. RainLoop: Recently I seen this webmail client so thought to share. UI is good in RailLoop. I am not tested it but when I walk through installation procedure its looking straight forward and easy. All above webmails are open source. Recently while trying to install roundcube I am stuck with the error “roundcube SMTP Error (250): Authentication failed”. With the error the clear hint is there should be some issue with SMTP setting, so I checked all SMTP settings and I had bit doubt on following settings. After doing some experiments with my main.inc.php file following tweaks are worked for me.